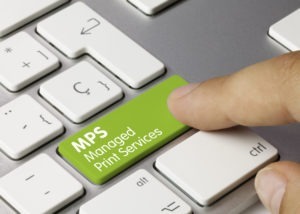 Recently, a newly emerging field known as managed print services (or “MPS”) has gained momentum. Companies around the world increasingly rely upon experienced third party providers to help them integrate and streamline printing and digital imaging services. (1) MPS firms help coordinate the activities of office printers, photocopiers, faxes, scanners, and other printing devices to help optimize efficiency. (2) This brief article focuses upon this emerging business sector. According to an article posted on the Reuters website, the total MPS marketplace has witnessed steady expansion during recent years. Between 2016 and 2019, companies engaged in this market witnessed a gradual increase in revenues. One forecast projects commercial enterprises will expend some $51 billion dollars on this sector by the end of 2023. (2) Why does the management and integration of printing terminals benefit some enterprises? Today, some analysts foresee MPS growth opportunities in certain markets. These potentially include businesses which presently rely upon multiple printing devices. Companies with branch offices in a variety of locations may discover benefits in installing software to help manage digital images and printer functions. This consolidation supports efforts to “go paperless” and reduce the quantity of printed materials generated during the course of business transactions. One example of a potentially vast new MPS market relates to the healthcare industry. For example, if a patient transfers from one assisted living facility to another branch, should the process require the complete replication of the patient’s file? During the era before the invention of computer printers, a patient relocation might necessitate the duplication of the entire medical record by the second facility. Today, businesses increasingly save money by storing and transmitting digital patient files electronically through the cloud. The expanding MPS marketplace holds advantages for many companies. It represents a new trend in optimizing business resources. In the future, more managers will likely explore this option!